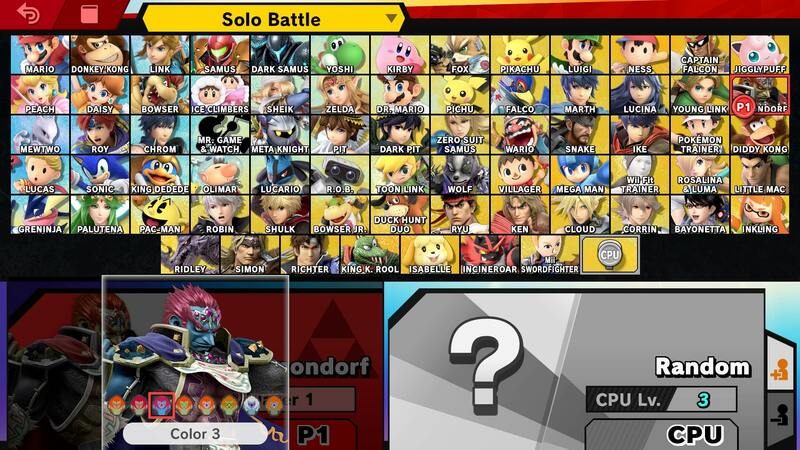 Great news Nintendo fans, Super Smash Bros Ultimate features every single fighter from previous games, alongside some brand new ones as well. There’s an intriguing new single-player mode, and a revamped sticker system called Spirits. As with every new Smash game, there have been plenty of changes to the way the majority of the characters handle. To help make sure you can start using your favorite character as quickly as possible, we’ve been building character guides for all of the fighters in Super Smash Bros Ultimate. This guide covers Ganondorf, the baddest boy in the whole of Hyrule. 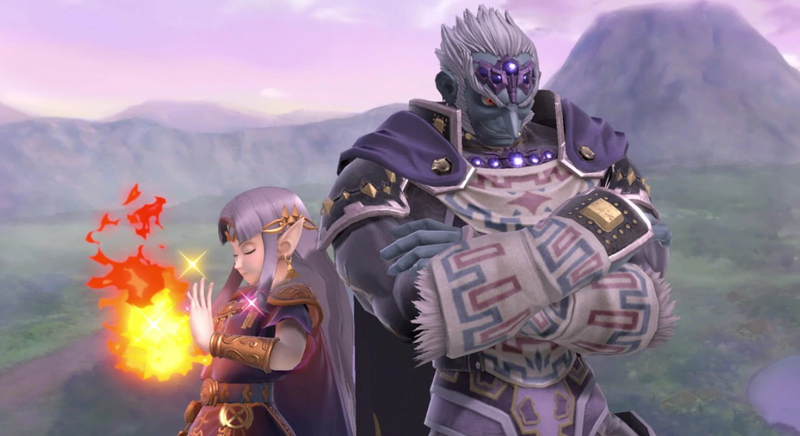 In this Super Smash Bros Ultimate Ganondorf Guide, we’ll be taking a look at the changes since the last appearance, highlighting some moves, detailing what the alternate costumes are, and more. For more on every single fighter in Super Smash Bros. Ultimate, head over to our Super Smash Bros Ultimate Characters Guide. You'll find an ever-growing list of guides on all of the characters in the game, so keep checking back in to see if your favorite fighter has been covered. The big bad of the Legend of Zelda series, you can find Ganondorf’s full moves list just below. There’s also Ganon, The Demon King, the huge Final Smash move for the villain. Many of Ganondorf’s animations have been altered, including victory animations, dash, running, jumps, and Up Aerial. Ganondorf has a few variants that you can choose to stand out from the crowd a bit. They mostly offer slightly different color palettes, so nothing too special. There’s a regular, pink cape, blue cape, green cape, purple cape, pink cape/armor, blue face, Dark armor. These alternate costumes are identical to his Wii U appearances, but we’ll be adding screens below once we have our hands on the game. 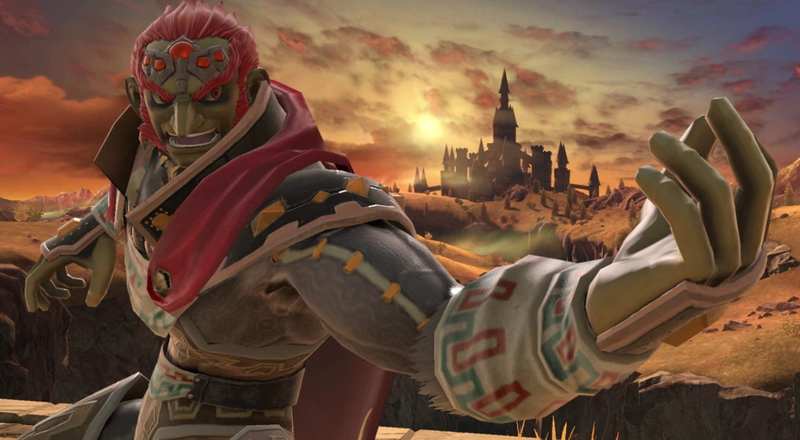 Ganondorf’s Final Smash has been changed for Super Smash Bros Ultimate. It is still Beast Ganon, but instead of the all-fours version used last time, it is the one standing on two legs. This is similar to his look in Ocarina of Time, with the Triforce of Power lighting up on his hand. That’s all the info we have on Ganondorf in Super Smash Bros Ultimate. We’ll be adding more info as we get it, so keep checking back for more updates. In the meantime, you can learn more about Super Smash Bros Ultimate by visiting our Super Smash Bros Ultimate Guides Hub. It’s got info on the new Ridley amiibo, modes, and more.